The New ML Extractor System from ANDROS incorporates similar features from our larger extraction systems. Just like its predecessor, this New ML “version” matches tractor speed up to 7mph, it has a variable tensioning system, and a wide pinch profile for accuracy during collection. 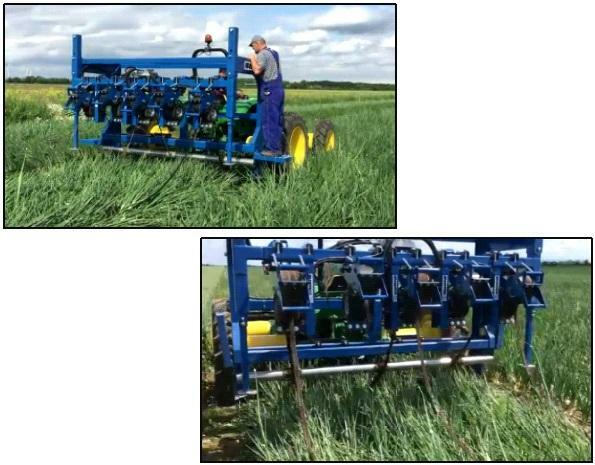 Engineered for shallow buried tape, this lighter version allows growers the agility to lift high volumes of drip-tape in heavy density vegetable crops with smaller high clearance tractors. Equipped with our “New” flexible overhead platform, growers can gang multiple heads together to lift narrow spaced material, simultaneously removing the majority of water out of the discarded product prior to collection.